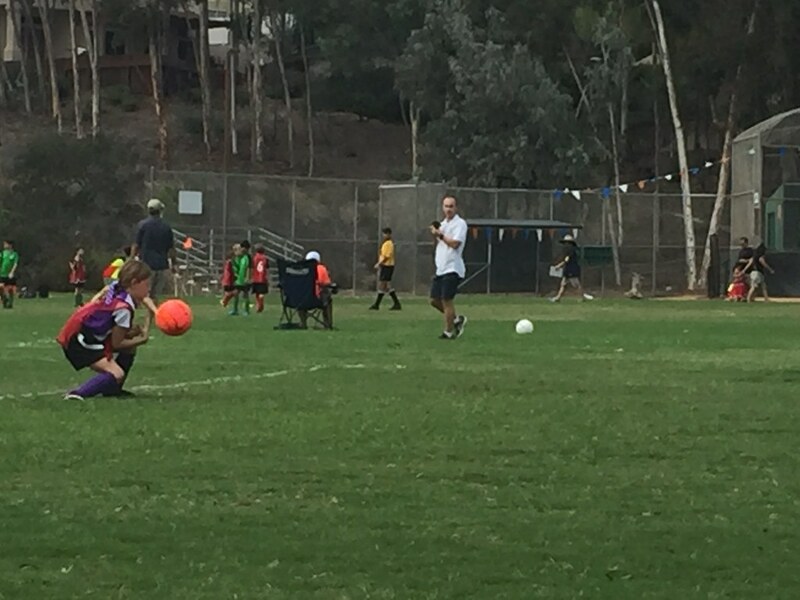 It was Jenna's turn to play in a 3-on-3 soccer tournament. 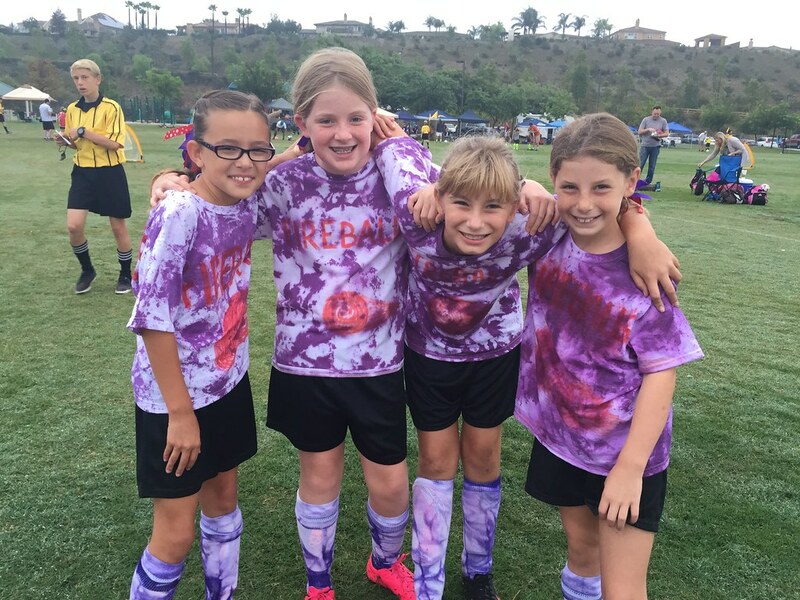 Her team was the Purple Fireballs. 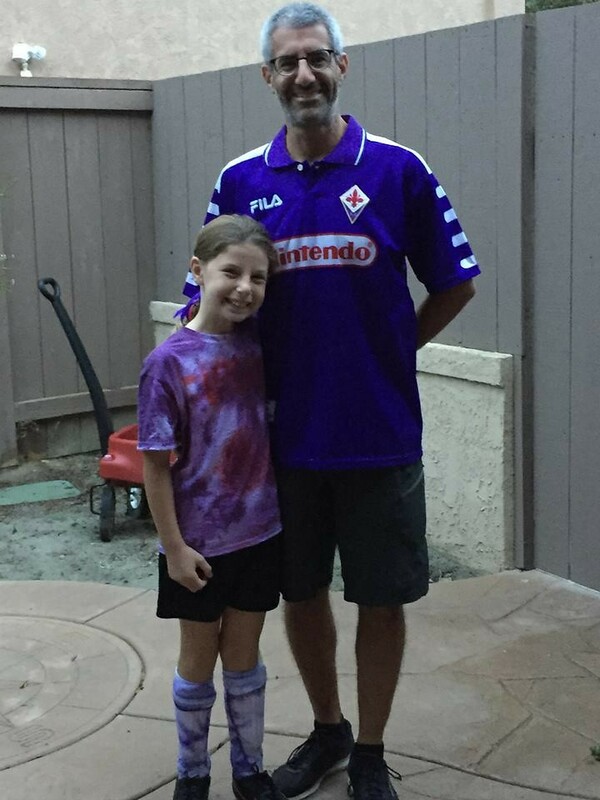 Her coach was suitably attired. 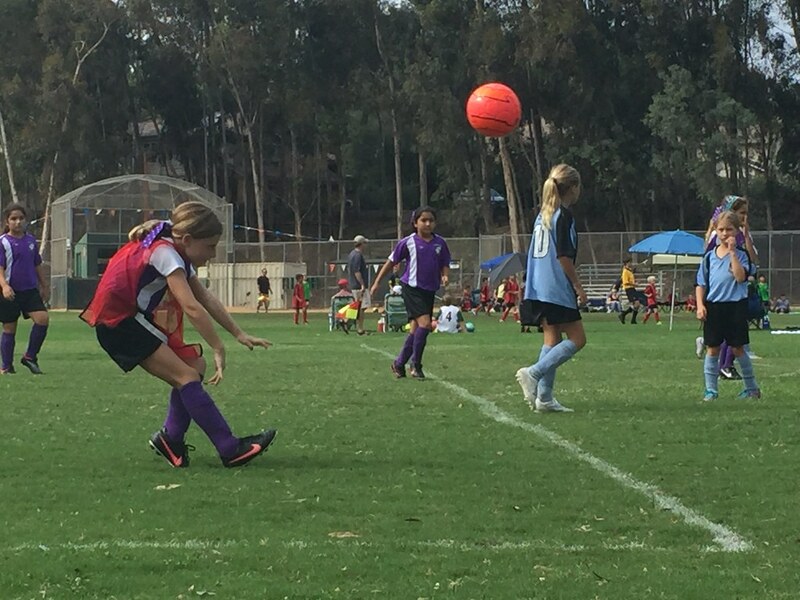 The girls did great, winning two of their three group games but sadly, not advancing to the knockout rounds. 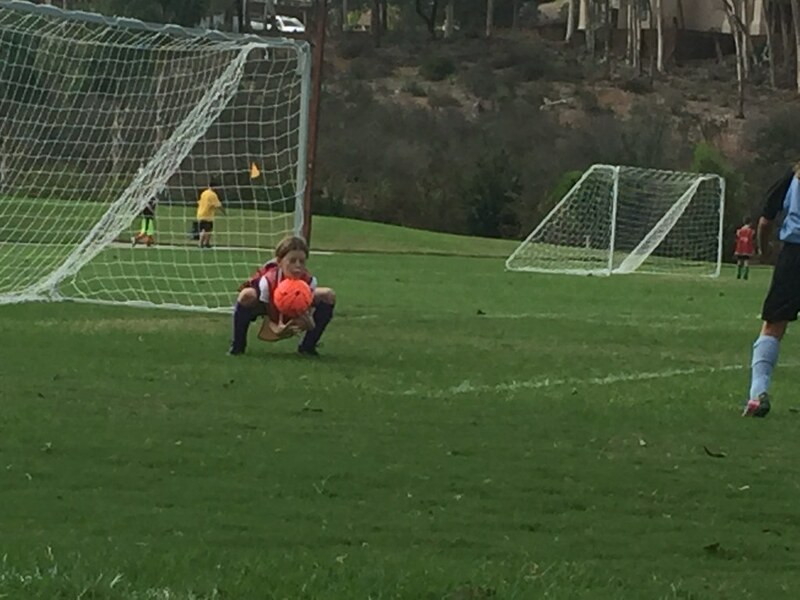 In league news, Jenna has been playing at least half of every game in goal. You can see why in the photos below!